Following the Official Light-Up and Opening Ceremony, the streets of Chinatown will come alive each night during the Chinatown Mid-Autumn Festival. An annual highlight, the Street Light-Up draws local and overseas visitors, young and old, to Chinatown to enjoy the sights of colourful handcrafted lanterns that evoke the festive mood. 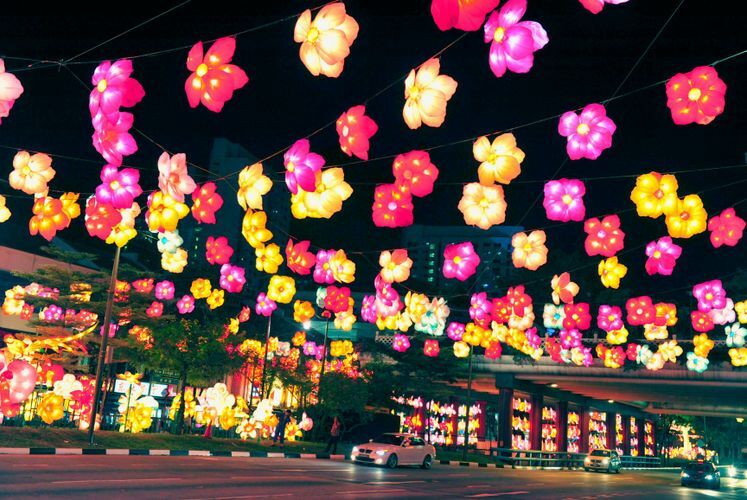 This year’s Street Light-Up will be a spectacular showcase reminiscent of the Chinatown heritage. A 10-metre tall, 8.5m in length and 2.5m in width centrepiece of a Chinese Junk ship and 168 early immigrants figurines plus over 1288 accordion paper lanterns that was so ever popular for decades designed in collaboration with students from the Nanyang Academy of Fine Arts (NAFA).